We can lower your stiletto heels by a small amount to tremendously increase the comfort without taking anything away from the appeal. We can also dye to match your shoes to a gown or any color of your choice! Call us for more info.  From your basic shoe to designers like Jimmy Choo, Kate Spade and Coach, we can help to repair and maintain the beauty of your investment. Whether you bring us sandals or high heels, we can fix damage caused by dogs, worn heels, scuffs, holes and more! If your shoes need a size adjustment, we can make them larger with our specialized stretching treatment or smaller with the use of comfort pads. Your shoes will look and feel new once again. We are always happy to serve you, stop by or make an appointment today. Dont forget to download our App at the Apple store or Google Play today for additional discounts. make traveling enjoyable once again.